During November only, receive a 20% discount on all huppah rentals at Huppahs.com. 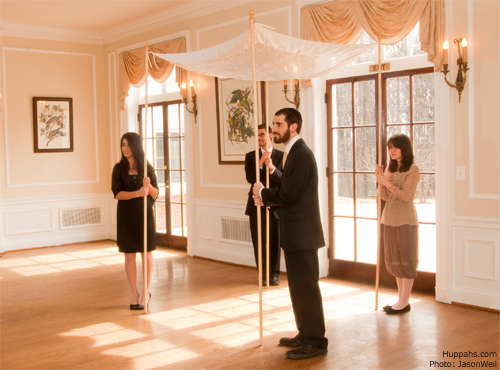 Just reserve your huppah by November 30. Take advantage of the lull before the engagement season storm to lock in your huppah and enjoy this limited time discount. With 20% off, you can rent a huppah for as low as $195 plus shipping or delivery. Rentals are available nationwide. Choose from a variety of styles. Check availability today at http://www.huppahs.com/rent-huppah-availability/. Get emails when we post new articles. Get it at Amazon . What do the Jewish bride and groom wear?